Sly: She's smarter than me! Walter: That's nonsense, no one smarter than you! Except me, and Ralph, and four other people I've read about. 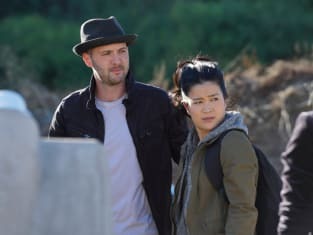 Scorpion Season 4 Episode 13: "The Bunker Games"
I told Happy you'd be mad, but she wanted furniture. Permalink: I told Happy you'd be mad, but she wanted furniture. Florence: Why do you guys hate him? Walter: He married Toby's ex-girlfriend. Sly: Stole Toby's ex-fiancée. He's a snake! Permalink: Stole Toby's ex-fiancée. He's a snake!